The tree is down, decorations are put away and the dust of holiday chaos is beginning to settle. With that said it’s the perfect (down)time to start working on projects for Valentine’s Day! These cute zippered pouches would make great gifts for the favorite people in your life. They’re even the perfect size to fill with conversation hearts! 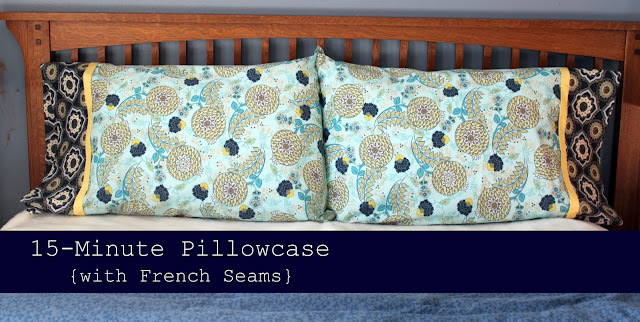 Here’s another quick sewing project to help fill out your Christmas project list! I think these would be super cute as stocking stuffers for your kids for their beds or to take on sleepovers. As you check items off of your holiday shopping list(s), take a second to think about exactly how you’re going to give those wonderful gifts! 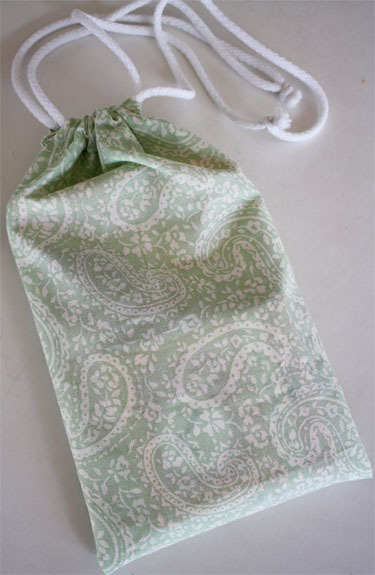 Instead of traditional wrapping paper how about using fabric scraps to make some cute drawstring bags? I will admit that when it comes to cleaning my house, I am a woman of convenience! I love, love, love products such as pre-moistened cleaning wipes (windex, clorox, etc.) and the dusting cloths (swiffer). With two kids, two dogs and constant chaos I often find myself multitasking to keep the house semi clean in between deep-cleaning sessions. This means wiping the bathroom sink/counter/mirror down while I brush my teeth, dusting the living room while on the phone and sweeping the kitchen floor while the baby is having a snack in the highchair. But as much as I love the convenience, I hate the cost and the waste it creates. So I was super excited to find this tutorial on the internet yesterday. I’m hoping to squeeze an hour in this weekend sometime to make a handful of these! With overflowing containers of scrap fabric in my sewing room, I hope I can find a handful of flannel scraps! Denise over at Whimsy Couture is once again, gearing up for the launch of ANOTHER great pattern. 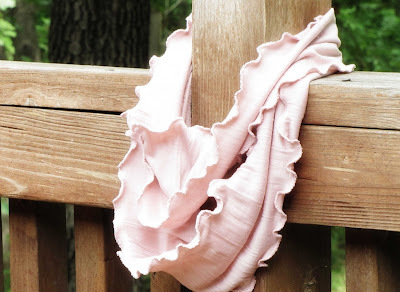 This ruffle scarf is super easy to sew and she’s donating proceeds to help breast cancer research! As always, I love testing for her. She’s hoping to have the pattern available for purchase sometime tomorrow. When it’s purchasable I’ll make sure to let you know! Ruffle Fabric is a huge craze right now! You can see it being used in a myriad of ways on Etsy — including the petti ruffle romper and the ruffle bubble romper in the Stitch To Stitch shop. 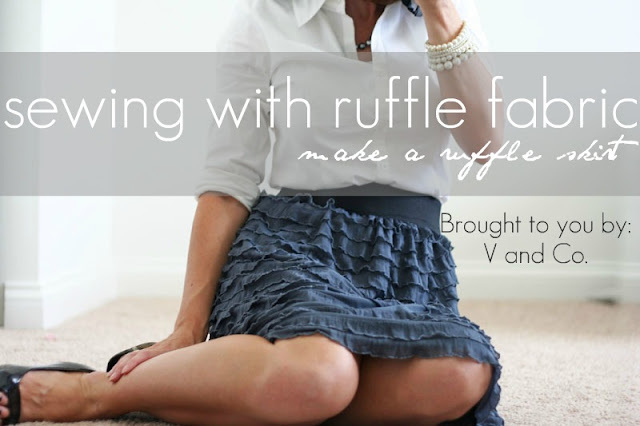 So when I find free tutorials like this Ruffle Fabric Skirt for WOMEN it makes me giddy! With cold weather closing in on us quickly, we’re all thinking about staying warm and maintaining some style. Our minds are also shifting to buying/making gifts for everyone on our holiday lists. So this tutorial is the perfect project to do for OURSELVES! Skip To My Lou shares this great tutorial for making a Ruffled Infinity Scarf in their Holiday Craft Along. Another great Christmas gift idea! Lindsay over at The Cottage Mama shares this great tutorial for Embellished Hooded Towels. This would be a great project to help use up some fabric scraps. My girls have always used hooded towels and they both desperately need some new ones. Looks like I’m adding this to my to-do list!